As a grad student, the required reading I have may range anywhere from $5 to $100; it honestly depends on the course. Here’s what you need to know about purchasing your graduate school textbooks. 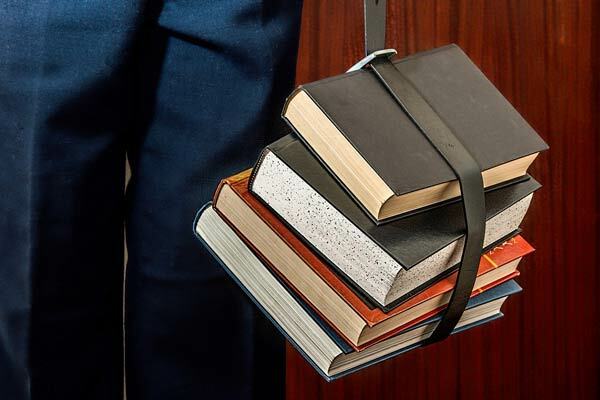 Obtaining your textbooks for grad school can be daunting, but luckily you’re not the only one having this experience, so there are plenty of folks who can assist you. When it comes to finding books, you will become best friends with Google, your cohort mates, and the campus/local librarian, if you haven’t already developed that kind of relationship yet. Depending on how much of a demand there is for the book, it is important that you plan ahead and make an effort to purchase your books as far in advance as possible. For the classes I took last spring, I bought all my books during winter break, and for the classes I took last fall, I bought them during the summer prior to the beginning of the semester. As much as I love learning from people, obtaining the textbooks and actually reading them is vital! Sitting at a table staring at hundreds of pages and trying to take in loads of new information can be overwhelming, but at the end of the day, it will be worth it. Those websites usually provide information on where you can obtain the cheapest copy of the required text by comparing prices from numerous companies that sell textbooks. Because of these sites, there have been times where I’ve paid less than $10 for a book that was listed as $85 on another website. Another resource, as I said before, is Google. If you’re lucky, there may be a copy of the book in a PDF file somewhere online, so you don’t have to pay for the book at all! Additionally, if your grad program has a cohort model, don’t hesitate to reach out to the folks who were taking the courses before you. They may be willing to lend you the books or at least sell them to you for a fairly reasonable price. Also, when you find out what books are required for your courses, check the library database at your institution and see if you can check them out; you might even find an electronic copy so you don’t have to worry about misplacing a book that belongs to the school. By maximizing the libraries’ resources, you have full access to the books and you don’t have to buy them; you simply have to remember to return them before the due date. Be careful though—book fines can add up quickly and can be very expensive! Being strategic with how I obtain my textbooks has saved me more than $5,000 during my time as both an undergraduate student and now a grad student. I hope these tidbits of advice will help you as much as they have helped me. Happy reading!